Top Row. 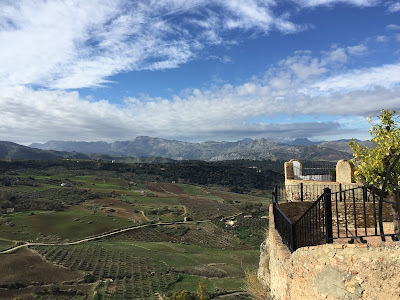 Left: View from the Palacio de Mondragón in Ronda, Spain. 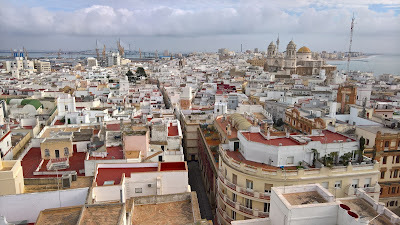 Right: View toward Catedral, Cádiz, Spain. Bottom Row. 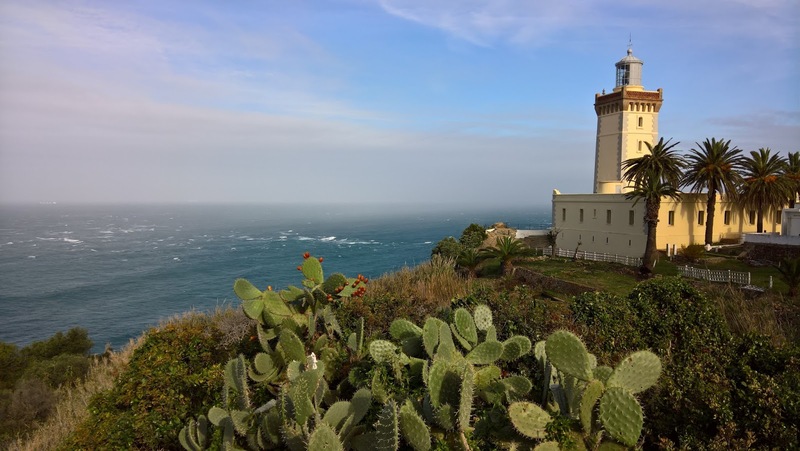 Left: Cap Spartel, Tangier Morocco. Right: Gibraltar, view of the Upper Rock Nature Reserve. In last year's trip to Andalusia, A Tour of Andalusia: Córdoba, Seville and Granada, we explored the central part of Andalusia. 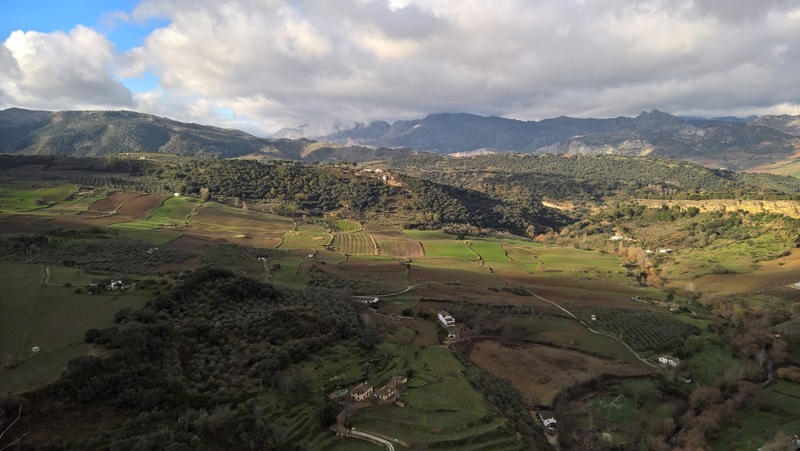 This year, started in Ronda and headed to points further south in Andalusia, Algeciras and Cádiz. We finished up in Lisbon, Portugal. 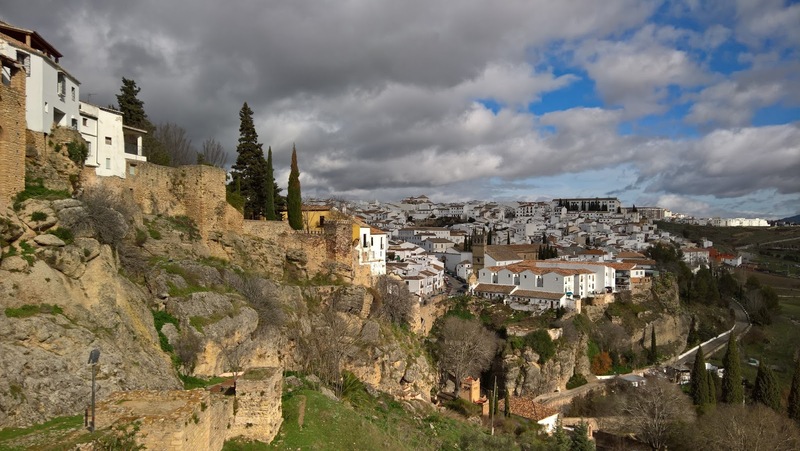 While not in Andalusia, Lisbson was on our long term list of cities to see so we lumped it in with this trip. We also wanted to see Gibraltar and spend a day in Tangier. That’s a lot to pack in 13 days. We were lucky. We saw mild temperatures and sunny skies for most of the 13 days. 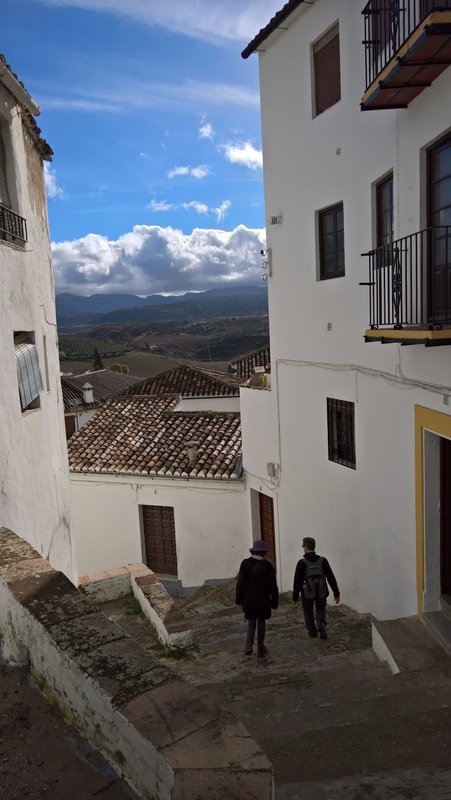 In particular, we had spectacular blue skies in Ronda, spent a crystal clear day in short sleeves walking the Mediteranean Steps in Gibraltar, and explored Cádiz under partly sunny skies and balmy temperatures. In Lisbon, we had one early morning rain that cleared before noon, but otherwise, great weather. Fly into Madrid and out of Lisbon. 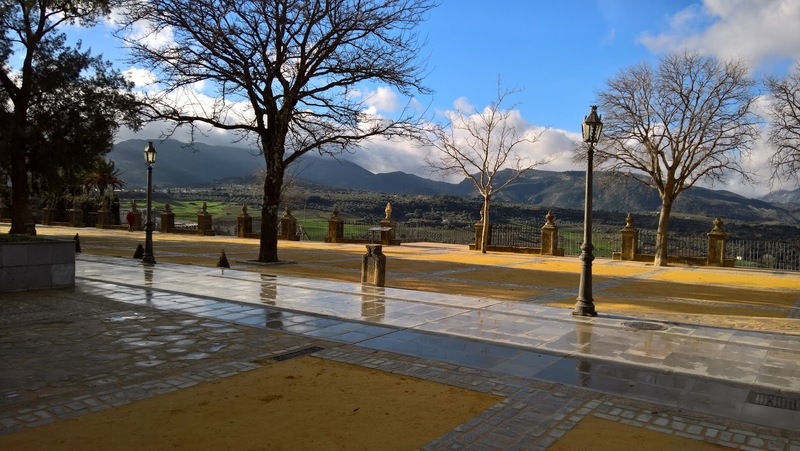 Train from Madrid to Ronda with one change in Antequera. Train from Ronda to Algeciras. We took a taxi from Algeciras to Gibraltar and back. It took about 20 minutes and 25 euros. We opted for the taxi instead of figuring out which bus to take. You take a taxi to the border of Gibraltar and Spain, from there you walk across the airstrip / border. The taxi doesn’t take you into Gibraltar. 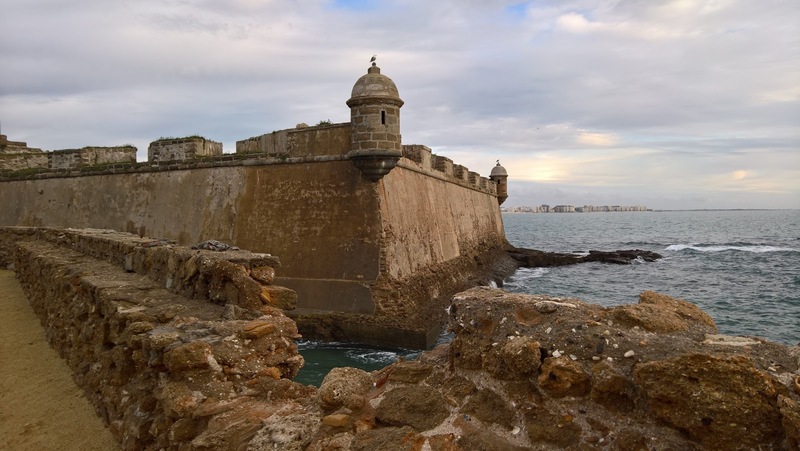 We picked up a rental car in Algeciras, drove to Cádiz, and then on to Lisbon. We took an FRS ferry from Tarifa, Spain to Tangier, Morocco. We took the free FRS bus from Algeciras to Tarifa to catch the ferry. 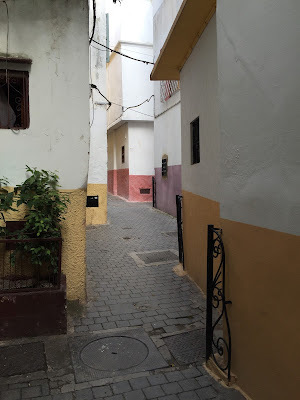 Photos of Cádiz. Left: View from Torre Tavira. Center: View from Castillo di San Sebastián. Right: Plaza de la Catedral. We booked AirBnB accomodations for all four cities. Two were good (Ronda and Cádiz). Two were “odd” but serviceable (Algeciras and Lisbon). I realized that when we look at photos in AirBnB (and other sites), we tend to overestimate how nice a place is. To be fair, the “odd” places were economical, so we felt it was a fair deal overall. We booked all of these guides ahead of time. We got recommendations by asking tour guides from last year’s trip (see A Tour of Andalusia: Córdoba, Seville and Granada). We strongly recommend these tour guides; all three made our time spend in their respective cities very special. We hired an ecoTukTuk tour. We liked it because it was an electric vehicle, quick and quiet. However, due to the nature of the job of driving and ensuring safety of passengers, the drivers can only give some basic stories and ancedotes about what you see – at least that’s what we experienced. It was nice to get a quick overview with the TukTuk, but it’s not a must do. And, there are no shortage of TukTuk’s to choose from, almost too many we were told. Low season booking wasn’t really required. 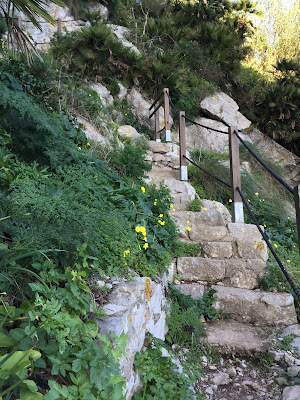 Photos of Gibraltar. Left: The Mediterranean Steps in Gibraltar. 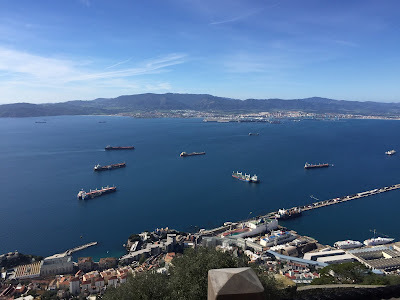 Center: View toward Algeciras over Gibraltar’s moles and dockyards. The Gibraltar Barbary Macque (Macaca sylvana). Ronda and Cádiz. Both were both standouts for us, to the point we are planning to go back. We wished we had doubled our time in both cities. The risk of packing a fixed schedule with many stops is when a place really stands out, you feel like like you’ve miscalculated in your planning because of the desire to spending more time there. 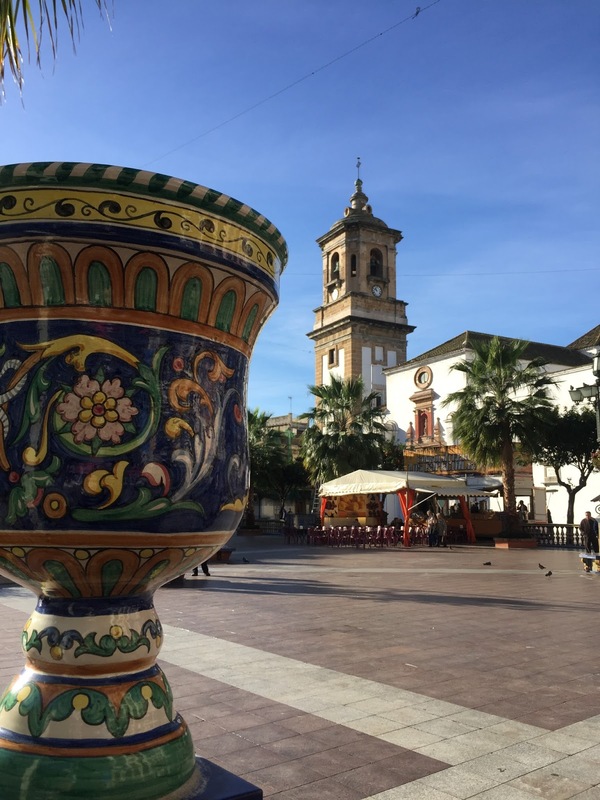 From Cádiz, Jerez de la Frontera is not far and is definitely worthy of visit (we only stopped for lunch). The train rides to and from Ronda provided beautiful scenery for relaxing and staring out the windows. 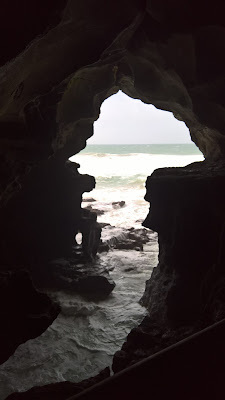 In Tangier, visiting the Cap Spartel Gran Reserva Natural de Tanger and Caves of Hercules. When I read about these, I thought they both sounded a bit boring. But, we were glad we got to see the outlying area around Tangier, which is surprisingly extensive and lush. The caves are interesting because the walls, which are patterned from the extractions of millstones cut out of the limestone. We had originally planned to spend a day in Sintra by taking the train from Lisbon. Due to fatigue and one of us not feeling well, we ended up scrapping a day trip Sintra. We were glad we did because we got to spend more relaxed time Lisbon. Also, from what we could tell about the number of things to see in Sintra and how we travel, one day in Sintra would not have been enough. So we chose well to skip Sintra this time and visit it by itself as a 2-3 day future trip. On our way from Algceris to Cádiz, we stopped in Jerez de la Frontera for a wonderful lunch at Bar Juanita. First, our decision to base ourselves in the city of Algeciras, was based on our desire to see both Gibraltar and go to Tangier for the day. 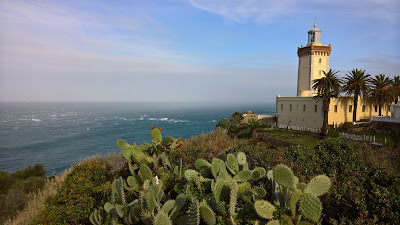 In retrospect, we could have stayed in Tarifa or La Línea de la Concepción. We were trying to avoid staying in Gibraltar. Side note on Algecerias. Algeciras tested us on our belief that every town has something to recommend. We arrived late on a Sunday afternoon, and the town was absolutely dead. Our mood was further dampened by a weird experience finding our AirBnB lodging, followed by trouble finding a place to eat. Eventually, we warmed up to Algeciras and found interesting things like the the daily market (except Sunday!) and Plaza Alta with its beautiful tile work. However, it’s a port town with lots of people just passing through, which lends a ragged and transitory feeling to the place. Second, we wouldn’t be a slave to having to stay in a central location in a city. Staying too centrally, burned us a bit in Lisbon. 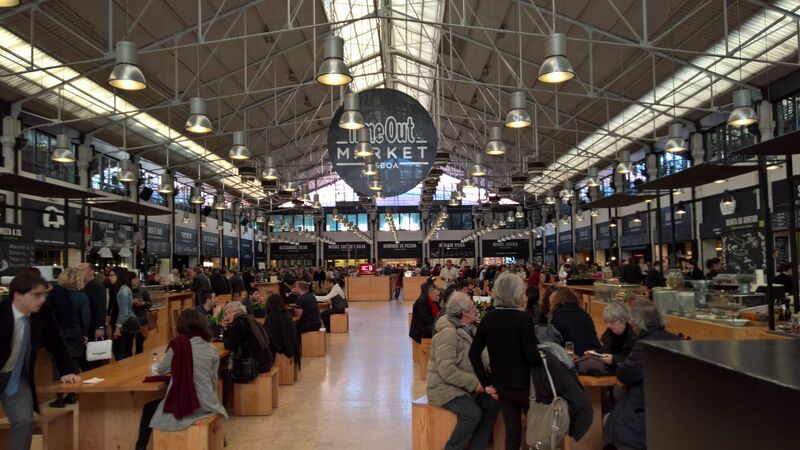 We thought that being centrally based in Lisbon would make the most sense because the city seemed big. We stayed dead center on the beautiful, but noisey Rua Augusta. Its shining marble paved streets were beautiful to behold through the apartment windows, but not to listen to all night through single pane windows. 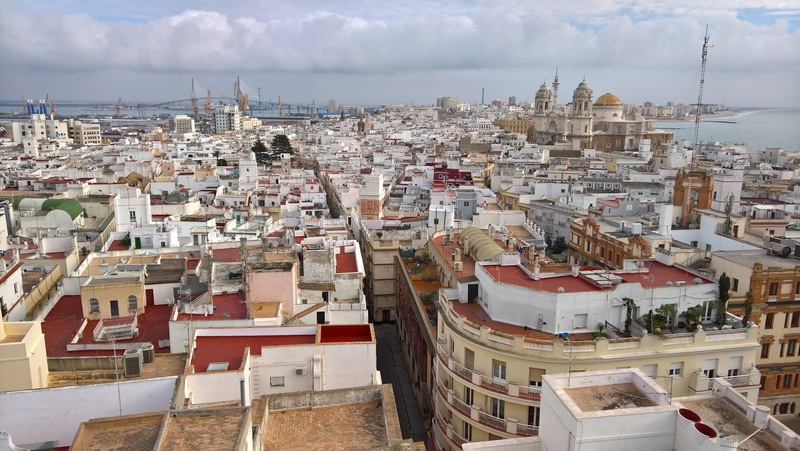 Also, some apartment buildings in the tourist areas of the Baixa lease out the bottom space to businesses to help defray the costs of building maintenance. This meant that the entrance to our AirBnB in Listbon was through a souvenir shop. Charming or tacky? Your call. Where we were staying, the shop on the ground floor closed up at night and if you didn’t know better, you wouldn’t even know it was there. Next time in Lisbon, we’ll stay in the Chaido, Barrio Alto, or Alfama neighborhoods. Third, we would choose different routing from Cádiz to Lisbon. It was odd, in retrospect, to tack on Lisbon to this trip. You will either pay in time or money getting from Cádiz to Lisbon. We rented a car with an exorbitant drop off fee in a different country. That said, it was an easy and beautiful drive from Cádiz to Lisbon, with a surreal lunch stop in the mining town of Alustrel, Portugal. I think if we had more days we would have spent a few days in Seville after Cádiz, and then moved on to Lisbon with a short flight. 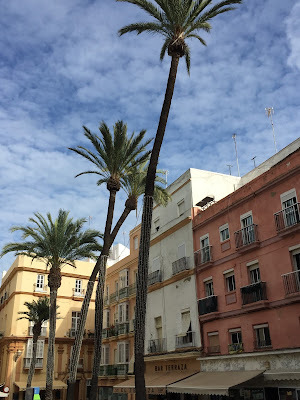 As it was, to get to Lisbon from Cádiz, we end up driving around the outskirts of Seville. Check Rome2Rio for other options between Cádiz to Lisbon. Photos of Ronda. Left: Calle Pedero Romero, Ronda. Center: Exploring Called Escolleras. Right: View toward Parque Natural Sierra de Grazalema. 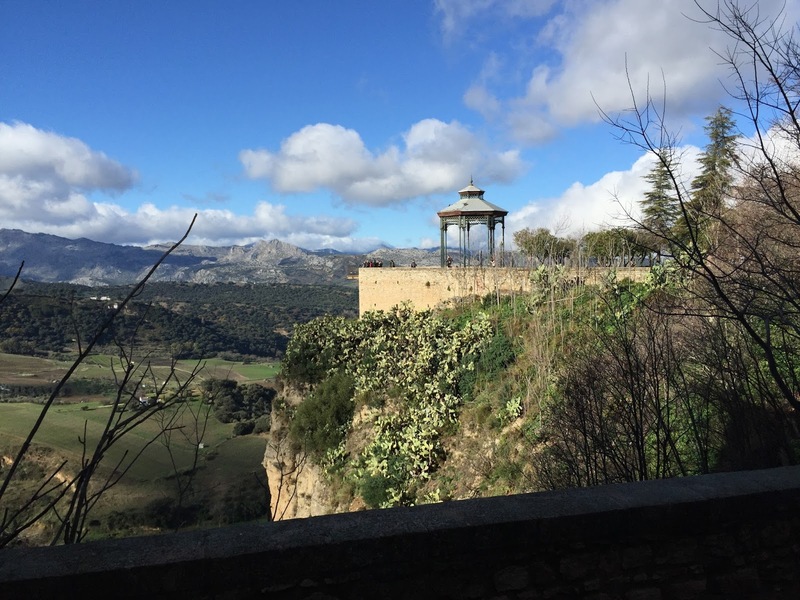 Photos of Ronda. Left: Alameda del Tajo, Ronda. Right: View from the walls of the Cijara. 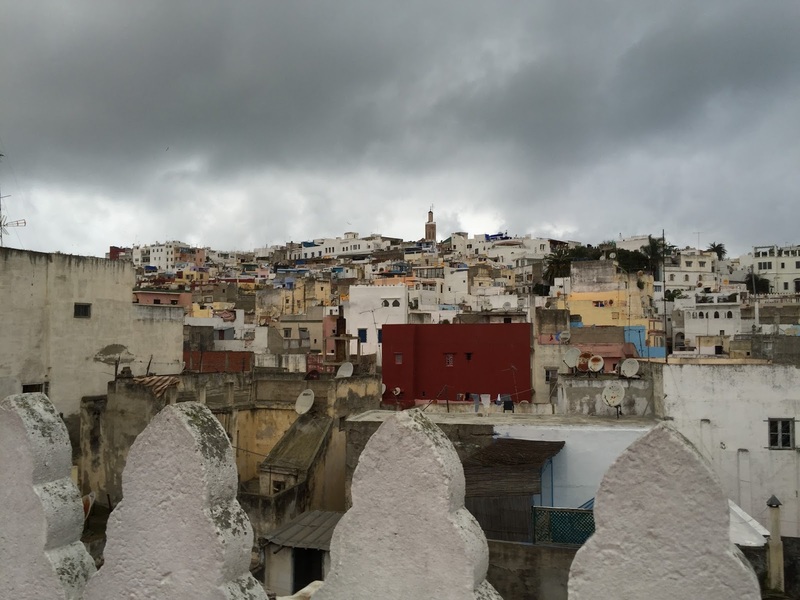 Photos of Tangier. Left: Cave of Hercules. 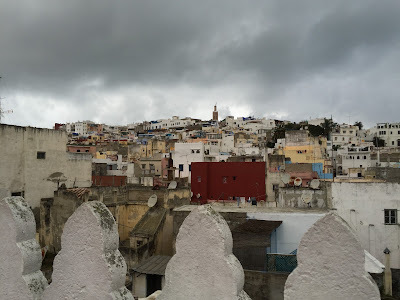 Center: Tangier medina. Right: Alley in the medina. 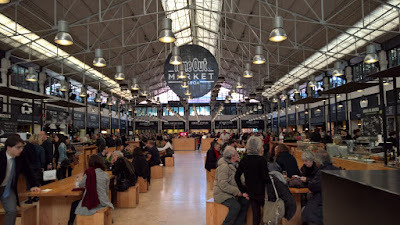 Photos of Lisbon. Top Left: Jardim de São Pedro de Alcântara - Jardim António Nobre. 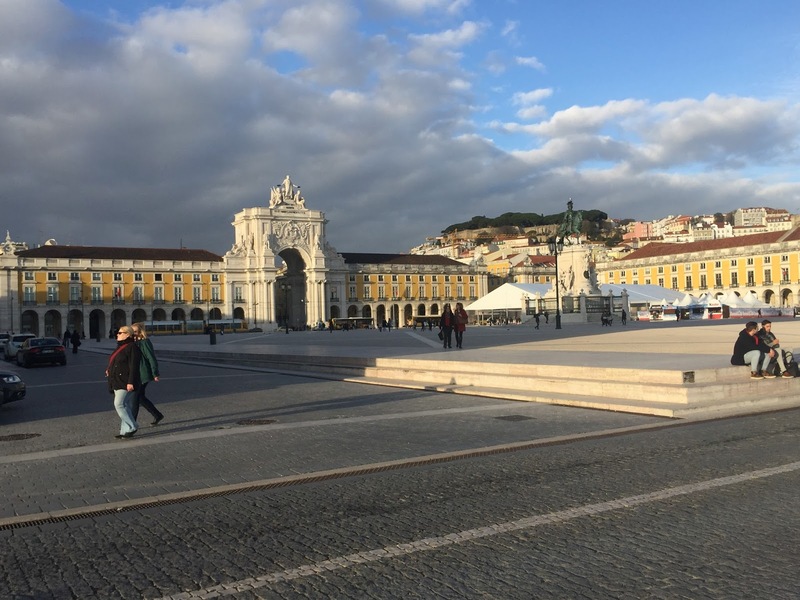 Top Right: Praça do Comércio. 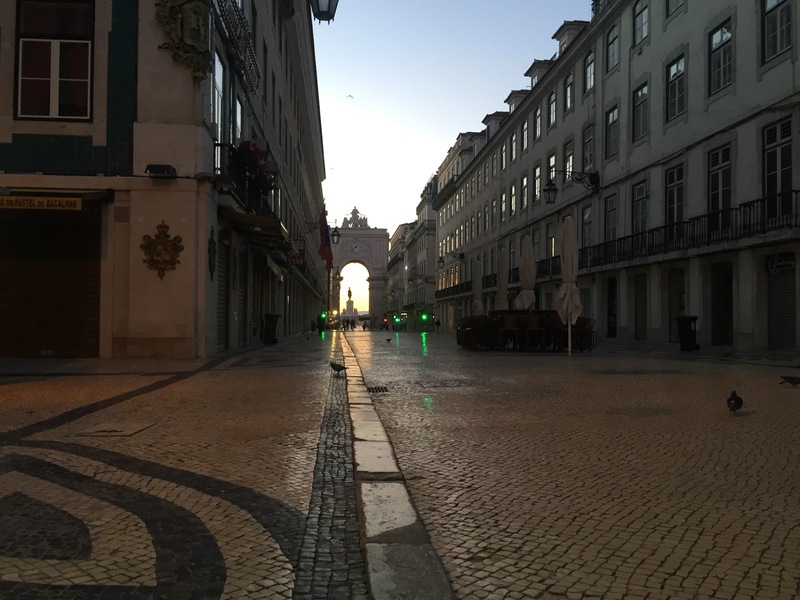 Bottom Left: Rua Augusta in the morning. Bottom Right: Time Out Market.